1. 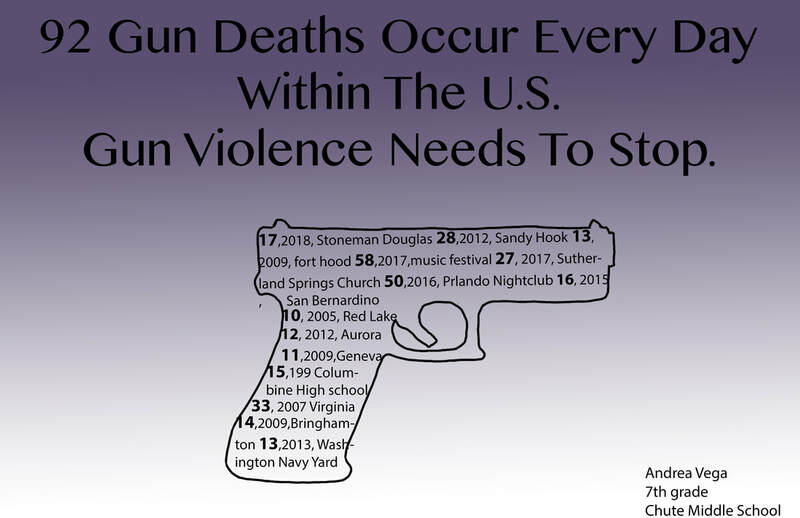 The main message is that gun violence needs to stop. 4. The part I think is most successful was the gun with like a list of mass shootings. I think I should have done something different with the background. And made the words different colors. So here I added all the pictures I wanted to be carved in my frame. This is the finished frame. I taped a string to it so i can hang it up on a wall. 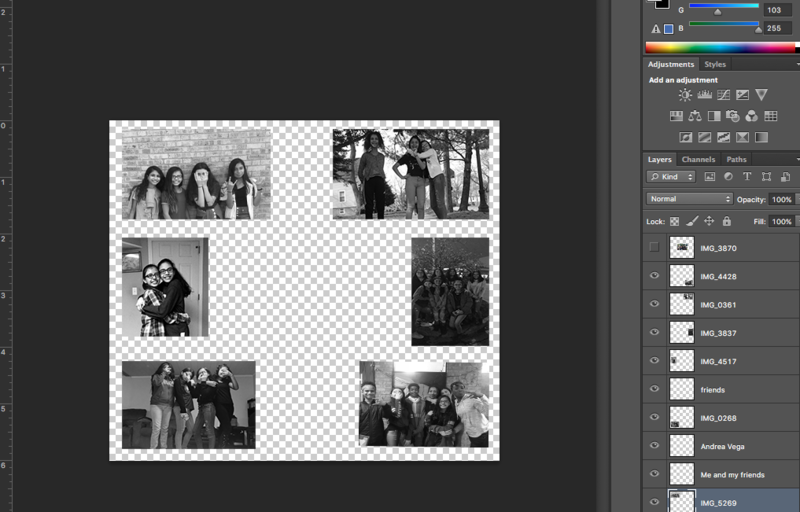 And put a picture of me and my friends in the middle. I really like the way it turned out. We also used plastic instead of glass to protect the picture. 1. My name is Andrea Vega and I'm a 7th grader in chute media arts. 2. 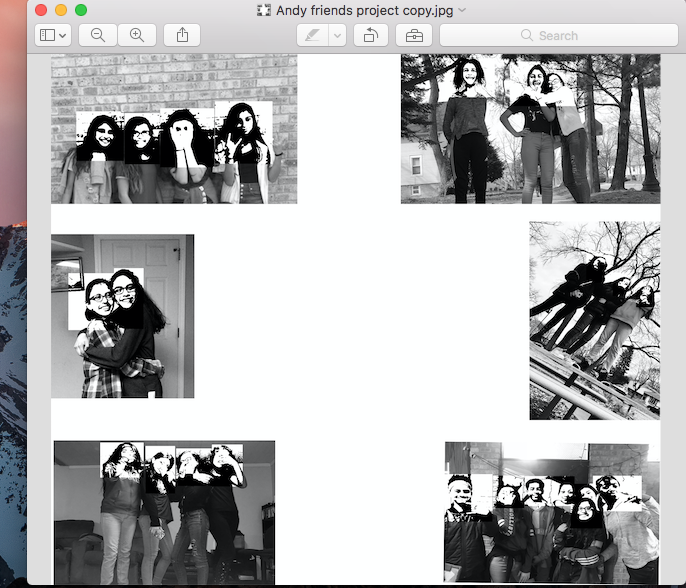 It has a bunch of just pictures of me and my friends.